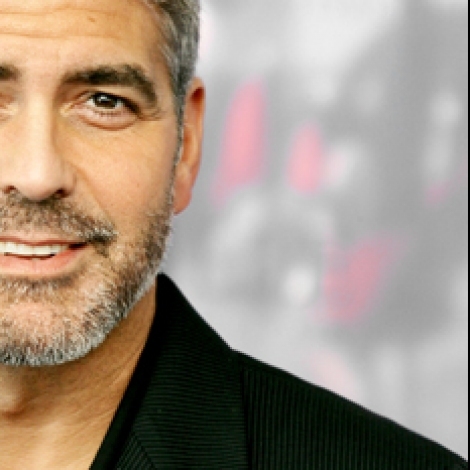 It would be easy for me to blather about George Clooney. He is outstandingly handsome, unabashedly debonair and everything the press and media have portrayed. The only other time I’ve swooned over a star was when Antonio Banderas took me in his arms and kissed me at the end of an interview. But Clooney is a whole different breed. He is a man with a mission and not superficial in the least. George Clooney is a proactive advocate for humanitarian issues and uses his notoriety to bring to light the often unseen atrocities that are hidden from our view. So there is more than meets the eye when it comes to George. I’ll give you a taste of the man behind the gorgeous smile, the man who is so often featured in People Magazine´s "Sexiest Man Alive" issue. Do we really need to talk about his marital status and availability….the recent dating tidbits that are surfacing about former WWE diva Stacy Keibler after his recent break up with model Elisabetta Canalis? Why report what everyone knows? How about, for the sake of really caring about what’s going on in our world, we enter the enlightened world of George Clooney. Born George Timothy Clooney, on May 6, 1961 this 50 year old gentleman is an American actor, film director, producer, and screenwriter. “I didn´t become really successful until I was in my thirties. I can still remember sitting on the closet floor of my buddy´s house, completely broke. My friends would want to go out to dinner, to get a hamburger, and I couldn´t afford to go. They had the money to pay, but I didn´t want them to pay. That happened a lot. At one point, I remember my buddy Brad loaning me a hundred dollars. He´s now running our production company. I´m still paying off that debt, you know?” And humor sustains Clooney, "For me, he says, “A sense of humor is number one. It´s certainly what´s most attractive.” And George combines his humor with his humanity. “My job,” he continues, “is to try and find ways of talking about issues that move us forward. 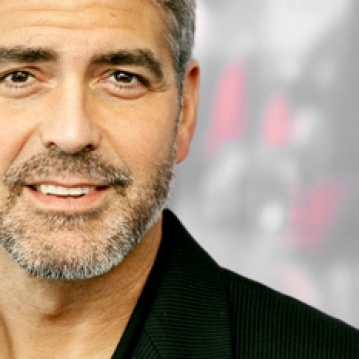 Clooney has served as one of the United Nations Messengers of Peace since January 31, 2008. He and Cheadle were presented with the Summit Peace Award by the Nobel Peace Prize Laureates in Rome. Clooney conceived of and initiated the Satellite Sentinel Project (SSP) after an October 2010 trip to South Sudan. SSP aims to monitor armed activity for signs of renewed civil war between Sudan and South Sudan, and to detect and deter mass atrocities along the border regions there. Clooney´s humanitarian work includes his advocacy of finding a resolution for the Darfur conflict, raising funds for the 2010 Haiti earthquake, 2004 Tsunami and 9/11 victims, and creating documentaries such as Sand and Sorrow to raise awareness about international crises. Jump online to learn more about these efforts to raise awareness and curb genocide. Clooney has been promoting his upcoming political drama, The Ides of March, yet otherwise staying under the radar. George´s father, Nick, who taught him he has an inherent responsibility to share his luck and good fortune with others, is a strong influence in his life. Clooney said his father urged him "to help look out for people that are less fortunate than you and to challenge people that are in power." Earlier this year, Clooney appeared on Piers Morgan Tonight and when Morgan asked Clooney if he was considering following in the footsteps of other Hollywood A-listers who ventured into the political arena, the actor dashed any hopes of a President George Clooney: "Honestly, my job is as good as they get." "I think I am best suited as an advocate for issues." And speaking of the issues, George Clooney and Grant Heslov cowrote and produced The Ides of March, a political thriller opening nationwide on October 7, 2011, which Clooney directs and co-stars in. “Directors are the captains of the ship,” he notes, “and it’s really exciting. In the end, it´s more fun to be the painter than the paint. Audiences might not find the movie "necessarily optimistic," he said of Ides of March because it’s intended to be provocative, not preachy. "We didn´t want to send a message. We want to leave things ambiguous," he said. "We wanted people to say at the end of the movie, ´So what do you think happens next?´ And that’s the perfect place to pause….. If you are the director of your life and you write the script… what do you think happens next?